Topeka, as the capital of Kansas, is well known for its’ historical court cases involving racism, and this beautiful city is full of American culture. From classic architecture to paintings by the American artist John Steuart Curry, this capital city represents the United States in a unique way. 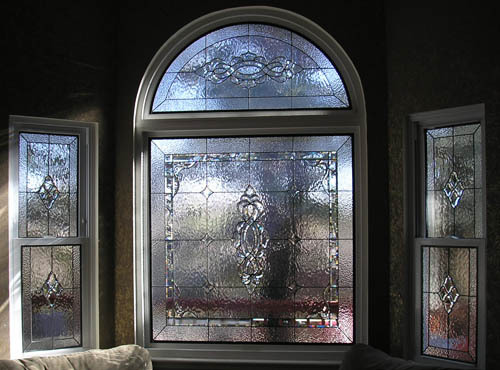 Within this beautiful city there are homes of all styles, and adding stained glass can be complementary in any living space. 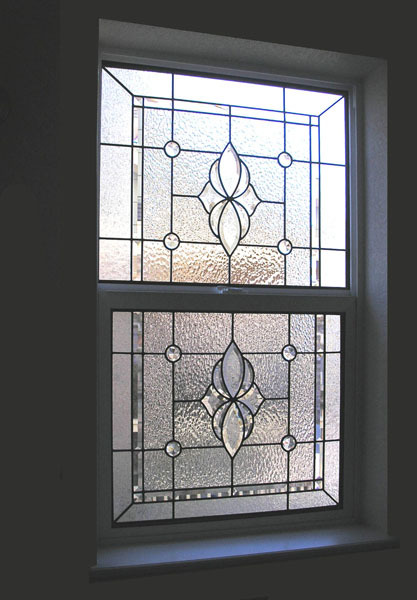 We use only the best stained glass to give each client a lasting piece that will be cherished for years to come. 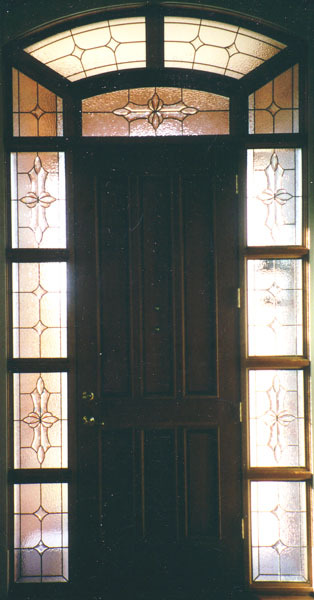 One of the most beautiful applications of home stained glass is in sidelights, the windows bordering your front door. 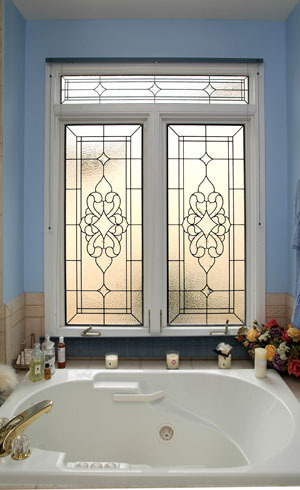 Add privacy with textures and bevels, let natural light in, and create a look that you love with leaded designs. 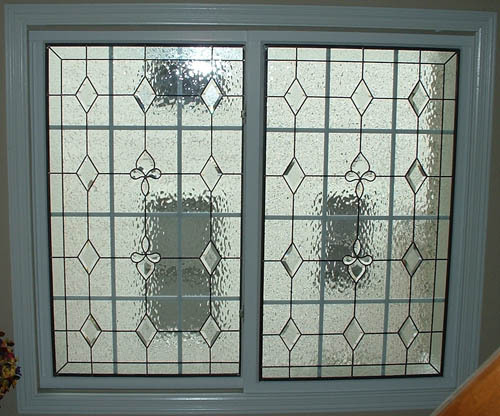 Our leaded glass will create an inviting entryway to your home, and help build a great first impression on visitors. 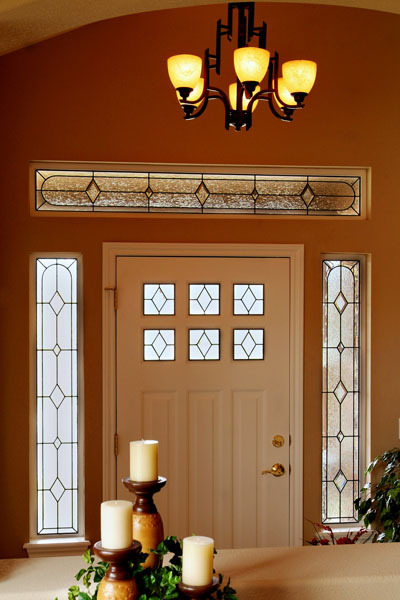 Each piece of stained glass is custom built, which means we can add our products anywhere in your home, not just standard sidelights. 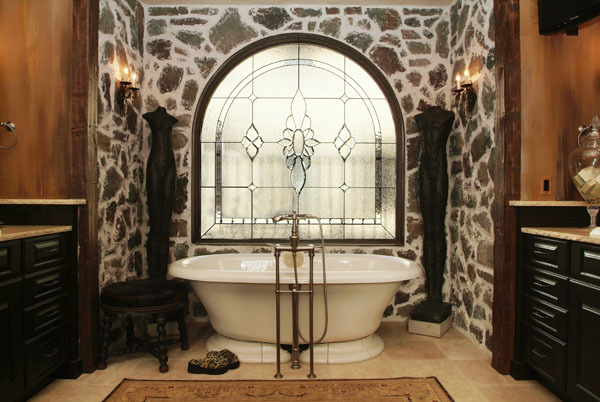 Some other great places include doors, kitchens, cabinets, bedrooms, transoms, bathrooms, and basements. 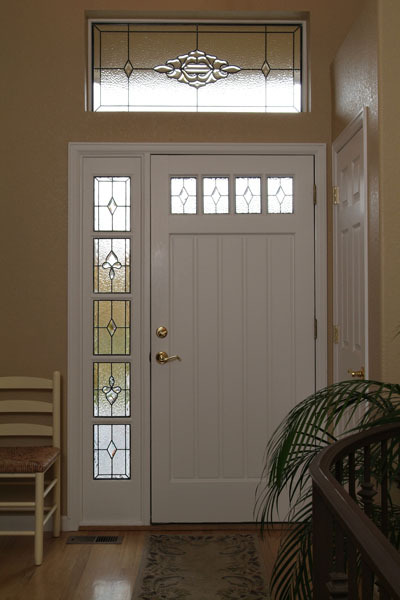 Take a look at our gallery to get a better idea of the many options we offer. 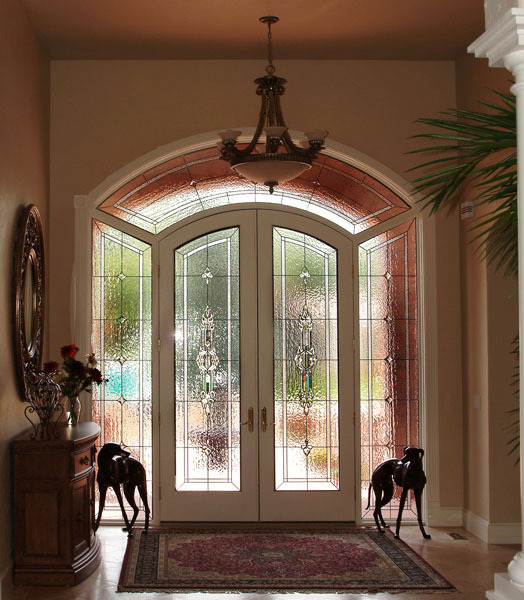 We are proud to specialize in a wide array of design styles and have the ability to create pieces that flow with any style home. 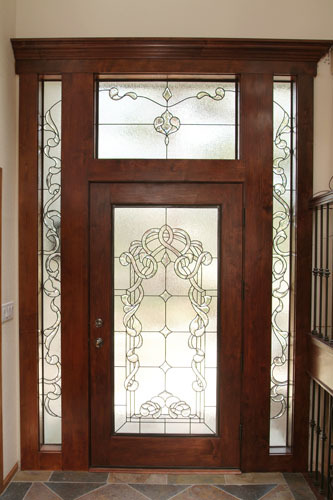 Some of our popular styles include Frank Lloyd Wright, Mackintosh, Art Deco, Art Nouveau, Mission, and Celtic knots. Browse through our designs pages to get a better idea of each style, and to learn more about which looks you prefer. We want this process to be as simple as possible, from design, all the way to installation. 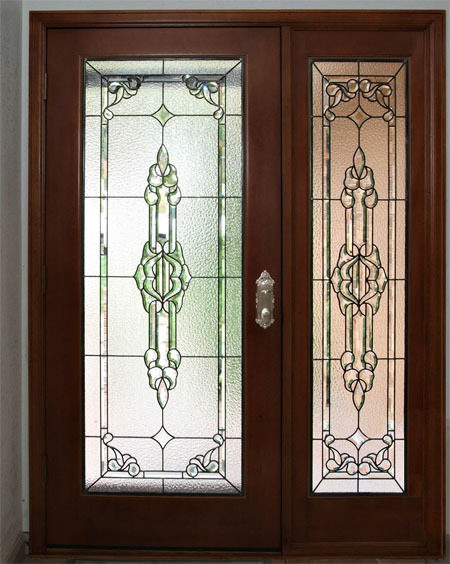 Our designers will help you narrow down your choices to a selection that fits your unique needs, and they are experts with the possibilities of leaded designs. 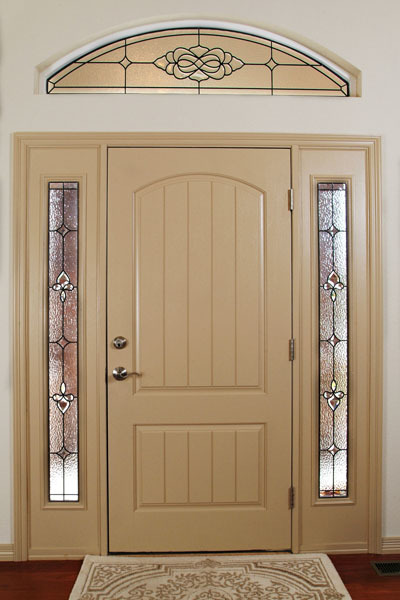 Our installations are also simple and clean, so you won’t have to worry about a messy construction area in your home, and we work with only the best installers. 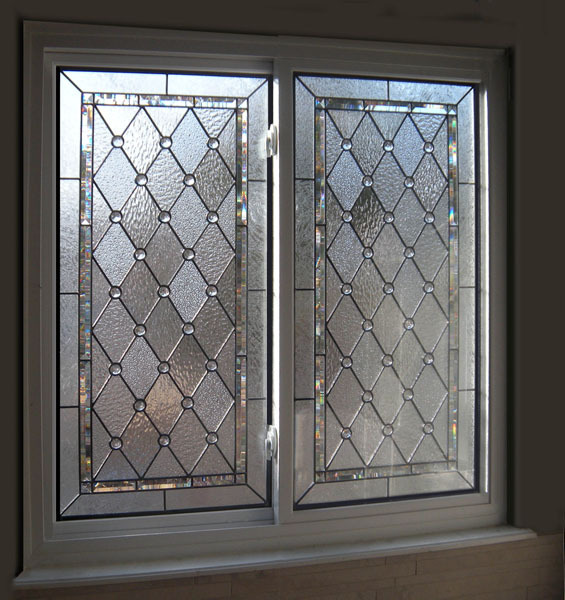 We usually bond the stained glass to your existing window, which protects the new piece and better insulates the window as a whole. 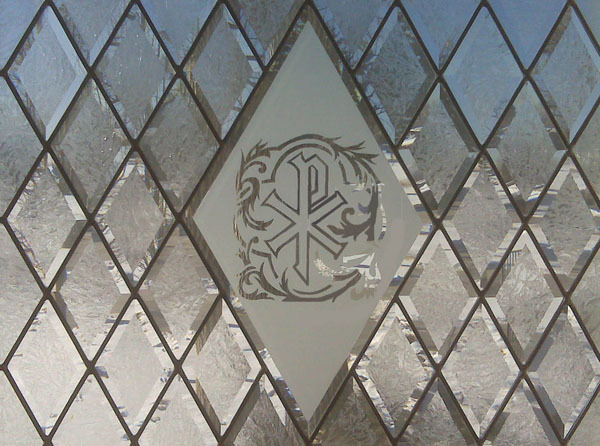 Custom religious stained glass gives Topeka churches, chapels, cathedrals, and any house of worship the opportunity to inspire their congregation members while creating long-lasting traditions. 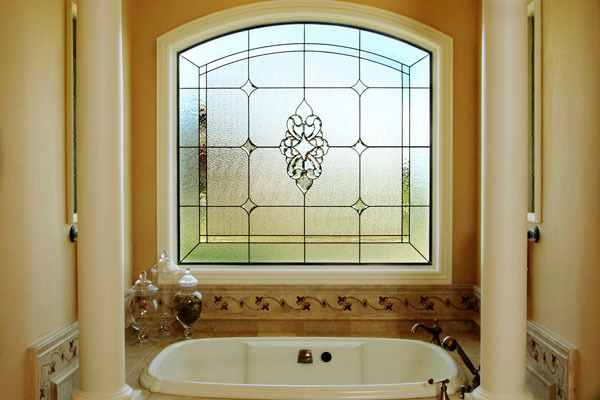 Stained glass has been traditionally used in religious settings for centuries– carrying on this tradition with your own favorite quotes, figures, and pertinent messages can really enhance the worshipping process. 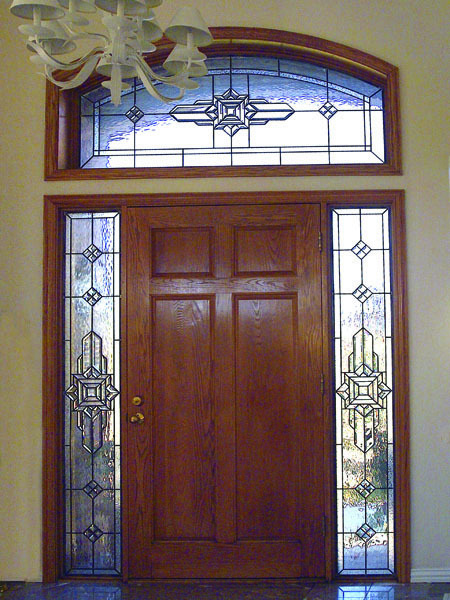 We’ve created countless custom religious stained glass pieces for churches around the nation and would love to help you with your next religious stained glass project. 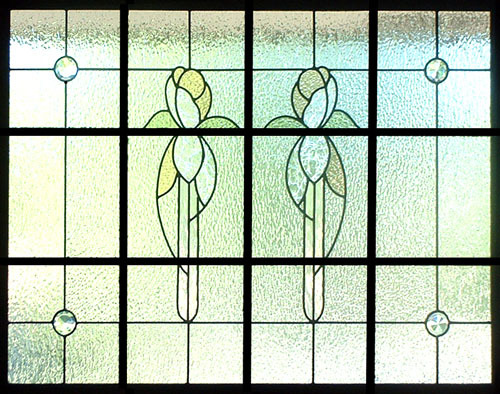 Our stained glass artisans understand the numerous techniques from throughout the years of stained glass construction. 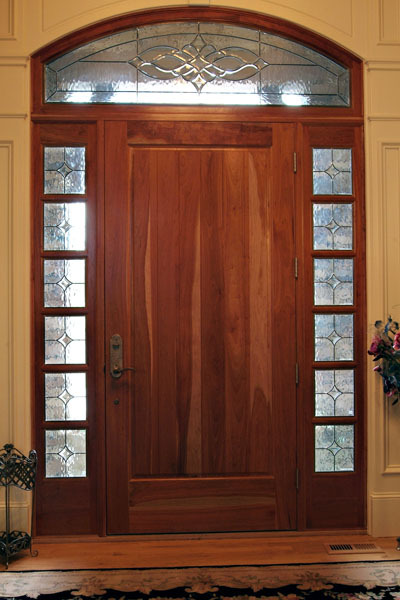 From minor repairs to full restorations of antique stained glass, we’ve got you covered. 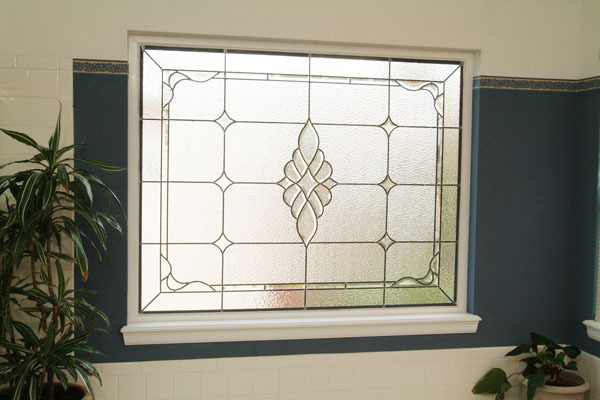 With proper restoration, a stained glass window can last for another hundred years until its next restoration. 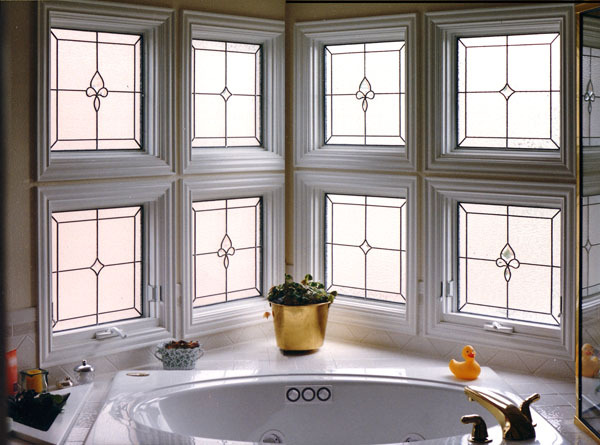 With the ability to preserve antique value and improve structural integrity, our renowned restoration process has been utilized for severe storm damaged windows to natural deterioration. 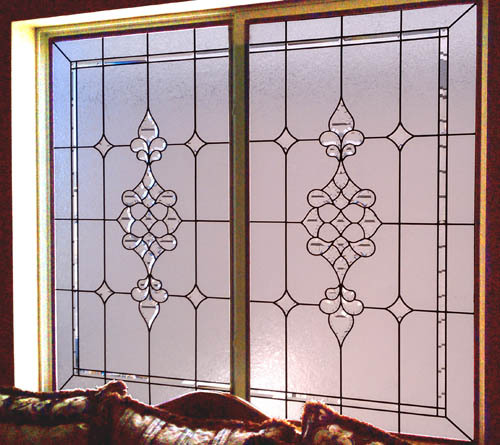 Perfect for historic church stained glass, restoration offers a chance for future generations to treasure your stained glass panels as well. 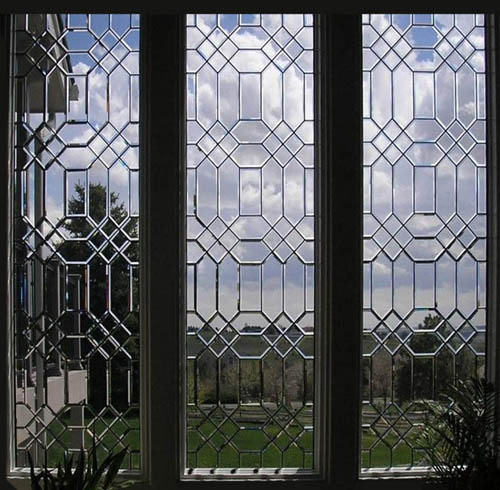 Custom stained glass can be utilized as a highly compelling visual marketing tool. 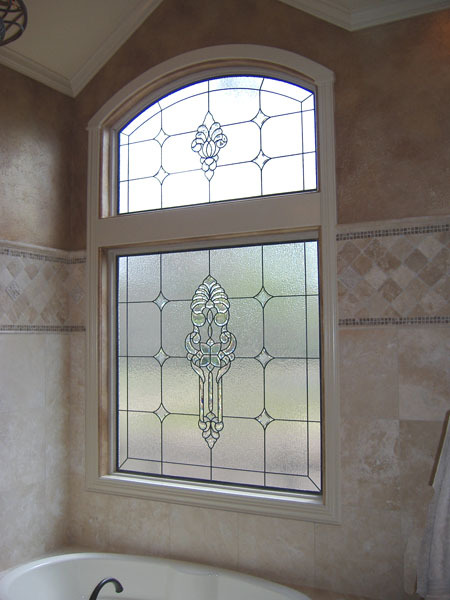 Grand stained glass pieces can attract new clients while offering a higher customer retention. 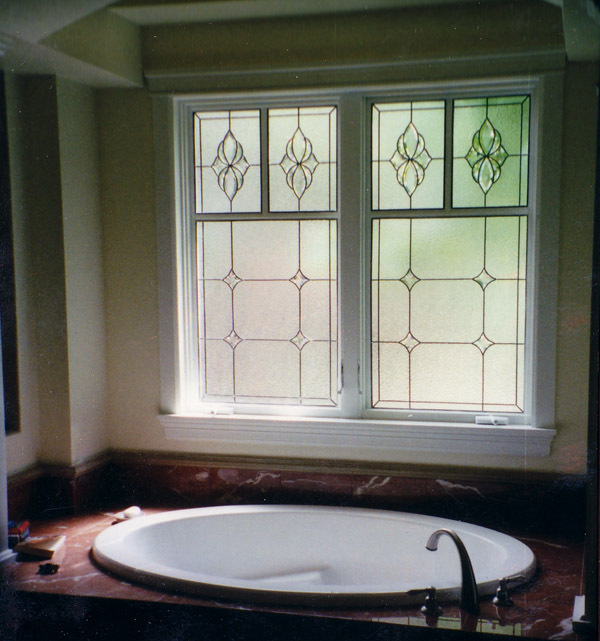 Great for adding privacy to spas or authenticity to pubs, the versatility of stained glass allows Topeka business and office owners to really bring their design ideas to fruition.